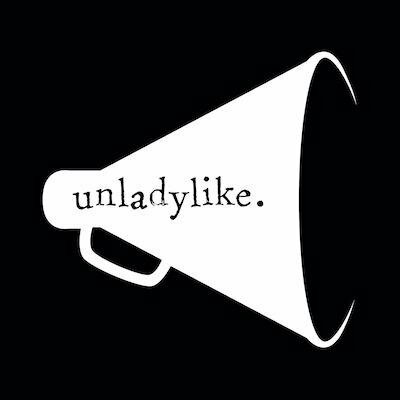 Over the next few weeks I will be probing the minds of a series of YA bloggers that cover the bounds of our booky love. 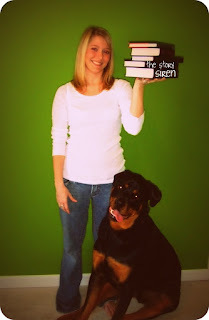 Today I am going to kick off this series of interviews with Kristi from The Story Siren. The purpose of the Blogger Inquest is to delve into their minds and experiences online. To be up front, I presented each of the interview subjects with 21 questions to choose from and they took it from there. Kristi has been blogging since 2007 and has been the recipient of the 2009 BBAW Awards for Best YA Blog, Best Design and Most Extravagant Giveaways as well as being nominated for a host of others. She's a great facilitator of community with the In My Mailbox meme and promotes debut authors with gusto with the Debut Author Challenge the past two years. It is with great pleasure that I welcome Kristi to Persnickety Snark! How has your approach and attitude altered from the early stages of your blog? I'm a lot more worried about content now. When I started I only really did book reviews. I'd read a book, post a review, read another book, posted a review.... you get the idea. But now.... it's all about something new and shiny and interesting and fun to get new readers and entertain the readers that you do have. It can be a little stressful at times. I miss those carefree days sometimes! It's your blog, post what you want to! Not everyone is going to like you or your blog, don't stress about it. Characterise yourself as a blog reader – monogamous, flirty or promiscuous? Lurker or commenter? I am definitely a monogamous lurker. And it has a lot to do with the fact that I'm horrible at time management, so I don't have a lot of extra time to visit dozens of blog and comment, but I'm also apprehensive...... Because I don't want people to think... 'oh she left a comment on this blog, but not mine... she must not like me/my blog/my reviews... etc' When that's totally not the case. So as to avoid that.... I just don't usually comment. It might be a lame excuse, but it's something that really bothers me. I can honestly say I haven't had any bad incidents with authors pertaining to reviews. Granted I don't do a ton of negative reviews and I try not to make a negative review a personal attack on the author, so perhaps that has something to do with it. The best times are just when an author takes the time to thank you for a review. I've had one particular author go out of her way to send me a thank you card after a review and promotion of her book. (Like I really had anything to do with the sales!) The author is a huge advocate for book bloggers as well, so that is always nice! Not many people know about my blog in my real life... I guess that's not entirely true, my family knows... and the people I work with. My 'real-life' usually doesn't overlap with my 'blog life.' While my husband tolerates my blogging addiction, I don't know if I'd go as far as to say he supports it. Lol. He likes to use the term 'nerd alert' when I get overly excited or start talking about blogging. He means it in the most endearing way! But if I have a blogging problem, there isn't anyone that I can go to in my everyday life. No one understand that aspect.... they just don't understand it, and it's not their fault. My mom and my sisters think my blog is awesome though! Oh geez.... AWESOME... WOW..... FANTASTIC. I really overuse those types of words.... but what can you do! I don't see myself stopping as of right now. But you never know. I have no plans to quit anytime soon, but if life gets in the way so be it. You have to do, what you have to do. As much as I love and cherish blogging, it really isn't my number one priority in life, although it seems like that a lot of the time! If done the right way, I think the can be effective marketing. I subscribe to a ton of blogs in my google reader and when a blog tour has fifty some stops on various blogs, you can guarantee that I am annoyed by the twentieth one I see and it makes me so bitter that I don't even want to read the book...... I don't want to SEE the book ever again! If it's a tour with around ten to fifteen stops, has entertaining and interesting content on each stop (more than just interviews) then that usually piques some sort of interest to me. Personally, I'd rather a tour be split up, instead of having a blog host everyday for three weeks straight.... split it up among three months. That is going to keep your novel on everyone's radar and hopefully not burn anyone out. Of course I do! I think if anyone says they don't, they are lying! What do I do to get over it. Give myself a little slap in the face! Honestly, I just think about my reading pile and about all the followers I have...... And think to myself.... "really Kristi.... you do not have anything to complain about, stop feeling sorry for yourself! Geez." I've been much better with blogger envy as of late. I think I've made it over this emotional hump where it's more about having fun with what I'm doing and not worrying so much about what everyone else is. It's so much more enjoyable that way. She's right on the money there, folks. I think sometimes we worry too much about what is happening on other people's blogs rather than being happy with the opportunities that we've been given with interviews, ARCs and the friendships made. I can't wait to read other Blogger Inquests! I love Kristi! What a great interview! That was a great interview! Much better than the average interview about fav books and what they do outside of blogging. It was interesting to see the blogging side of a book blogger. Loved this interview! Kristi's blog was one of the first (of course!) that I discovered when I started blogging. I'd never have thought Kristi to be a lurker, though I understand where she's coming from. I love her Dear Story Siren posts, they're so useful. She's too humble - but then that's very endearing! Great interview! I can't wait to see who else you have on in the next few weeks. great interview-Kristi is amazing. She is a lurker like me though not for the same reasons as hers are much nicer. I want to know the other questions you offered. Looking forward to hearing about bloggers I have yet to come across. What a fab interview. FYI I would much rather read an interview with bloggers talking about blogging than an author interview. I like what she says about posting what you want to on your blog. Some surprising things are that she gets blogger envy! She is like the gold standard, like half the time if I see a blogger get something that she didn't I'm all like WHAT? No way. Because, if a book just gets mentioned on her IMM, it instantly goes on my goodreads. Especially if it looks pretty in the video. Oh and the time management surprises me too, since it seems like Kristi is really on her game with posting things! I swear I'm not a creeper, just a huge fan of The Story Siren! To use one of Kirsti's words - what an AWESOME interview. I really enjoyed reading it and I'm looking forward to the next one. Great idea, Adele. I love Kristi's Dog! and of course her blog! Great points. Once something loses the fun factor what is the point, right?